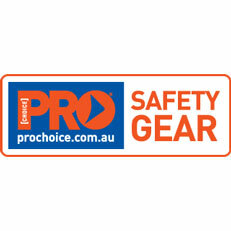 Paramount Safety Products are the sole distributors of the ProChoice range of safety products. Paramount has been operating since 1992 and is a wholly Australian owned company. We understand the importance of Personal Protective Equipment (PPE) in workplace safety and have sourced and developed a range of safety products from across the globe to meet the needs of every working environment. Our range consists of protective headwear, hearing protection, protective eyewear, respiratory protection, hand protection, protective workwear, sun protection and other general safety gear. Within these product ranges we are market leaders in gloves, safety glasses, dust masks, welding gear, hard hats, earmuffs and earplugs. All products in our range meet the appropriate Australian and European standards and we certify all Australian standard products to ensure consistence during manufacturing. ProChoice Safety Gear......SAFE AS!!! !